Liberty Fencing Club Camp featuring Sekou Tounkara with the former Lafayette College and NJIT Fencing Team coaching staffs in our newly expanded & renovated facility in Warrington, Bucks County, Pennsylvania. Liberty Fencing Club’s summer camp was voted first place for “Best Camp” on the 2014 Bucks Happening List! Thank you to all who voted! Registration is now open for our 2017 fencing camps! Our 2017 summer fencing program is a 3-weapon day camp run by Sekou Tounkara with the coaching staffs from the Swarthmore College Men’s & Women’s Fencing Teams in Liberty Fencing Club’s newly-expanded air-conditioned facility with state-of-the-art sprung floors, 11 permanent fencing strips, video replay, and FIE grounded strips. Our in-house pro-shop is an official Absolute Fencing Gear Pro Shop (in-stock and custom orders) and also features Leon Paul products and custom performance apparel in stock. Pre-Summer Nationals Camp (Week 1): June 19-23, 2017. Week 2 of Camp: July 24-28, 2017. Week 3 of Camp: August 21-25, 2017. For more information and bios of some of the coaches, please see About the Coaches. For the advanced and elite fencers going to Summer Nationals, Week 1 will have a special focus to prepare you for that. For the beginner, intermediate, and other fencers not going to Summer Nationals, the focus will be similar to the camp in previous years and work on growth, development, and fun. LFC Fencing Camp starts at 9:00 AM and ends at 4:00 PM Monday through Friday. Early drop off and late pick up are available. BYOL: Bring Your Own Lunch (refrigerator available). Liberty Fencing Club’s summer day camp is designed for competitive and beginner fencers in sabre, epee, and foil. The first week of camp is for beginners. The second week is geared towards experienced through advanced/elite fencers and open to all participants from week 1. The program includes fitness instruction, games, skill training, tactics/strategy, competitive bouts, and more. 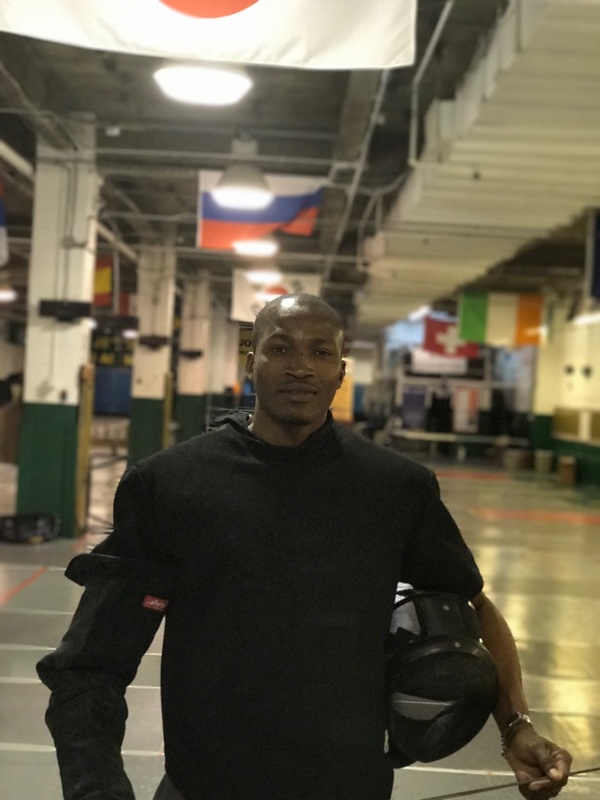 Our experienced fencing coaches are from Swarthmore College and Northwestern University and have coached on the national and international level. All LFC coaches are background-checked USA Fencing Professional Members. All classes are held in our newly expanded, outstanding air conditioned facility with a state-of-the-art sprung floor with 11 permanent fencing strips. Financial Assistance & Scholarships Are Available on a Limited Basis. Please contact us for details. Mention “Liberty Fencing” and “ID #3016459” at either hotel property to receive the 20% discount. Both hotels are new and located 3-5 minutes from Liberty and are conveniently located to restaurants, shopping, and downtown Doylestown. Both hotels offer free breakfast with a variety of room and suite options, along with a number of nice amenities. For Week 1 (Pre-Summer Nationals Camp): Preregistration & payment due June 16. Please contact Liberty for registrations past the May 15 payment deadline. For any cancellations after June 16, full payment is still required for any preregistrants. For Week 2: Preregistration & payment due July 21. Please contact Liberty for registrations past the July 21 payment deadline. For any cancellations after July 21, full payment is still required for any preregistrants. For Week 3: Preregistration & payment due August 18. Please contact Liberty for registrations past the August 18 payment deadline. For any cancellations after August 18, full payment is still required for any preregistrants. Due to our need to adequately staff our camps and provide the high levels of personal attention and uniquely low coach to student ratios that we are known for, prepayment is required, and we are unable to provide refunds. Please contact Liberty to arrange payment directly if any of the discounts, scholarships, or financial assistance apply to you (please still preregister online).